Yup. 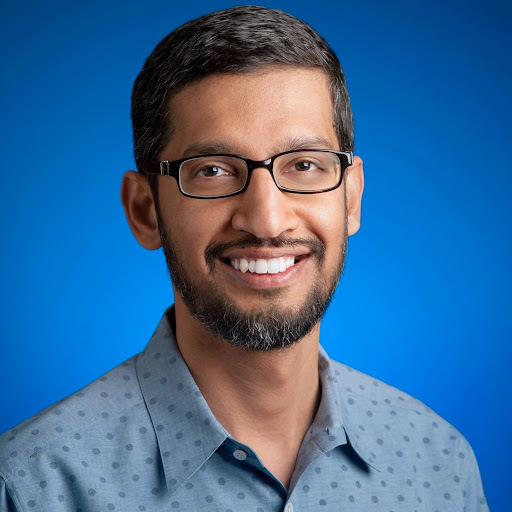 I was a little concerned that Sundar Pichai was having some fun with us. Just back from a whirlwind trip to Asia visiting our Android ecosystem partners in Korea, Taiwan, and Japan. Exciting to see all the high quality Android devices available now, including Samsung Galaxy S4, HTC One, LG G2, Sony Xperia and many more. Also looking forward to the new devices our partners are launching in Berlin at IFA, played around with them last week and really nice -- stay tuned; we’ve got a lot more coming! All this Android innovation is driving tremendous ecosystem momentum and I’m excited to share that together we’ve now passed 1 Billion Android device activations. Huge thanks to the entire Android community from the hardware manufacturers, chip makers and carriers to the developers and content creators to all of you - our Android users around the world - for making this possible. Android has been developed by Google engineers under sweet-themed names ever since the release of Android Cupcake in 2009. Working our way through the alphabet, we’ve added a new tasty treat with each new release: Donut, Eclair, Froyo, Ice Cream Sandwich and our most recent version Jelly Bean. And for K, what better way to share that joy then with a chocolate candy that everyone around the world loves and that’s been a favorite among the team since the early days of Android. To mark the release of Android KitKat, more than 50 million specially branded KitKat bars will be available in 19 markets including Australia, Brazil, Germany, India, Japan, Middle East, Russia, the United Kingdom and the United States. 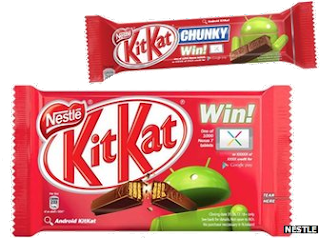 The packs will lead consumers to android.com/kitkat where they will have the opportunity to win prizes including a limited number of Google Nexus 7 tablets, and credits to spend in Google Play, Google’s online store for apps, games, music, movies, books and more. 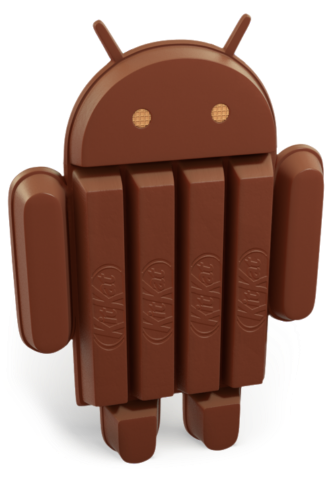 And just because Google's a fun loving company, that can be infectious, so Kit Kat released this sweet video.